This sitting Buddha position depicts meditation style and is made of fiber. This statue represents calm and peace and the his plams face up resting Read More..on the lap hich speaks of serenity. 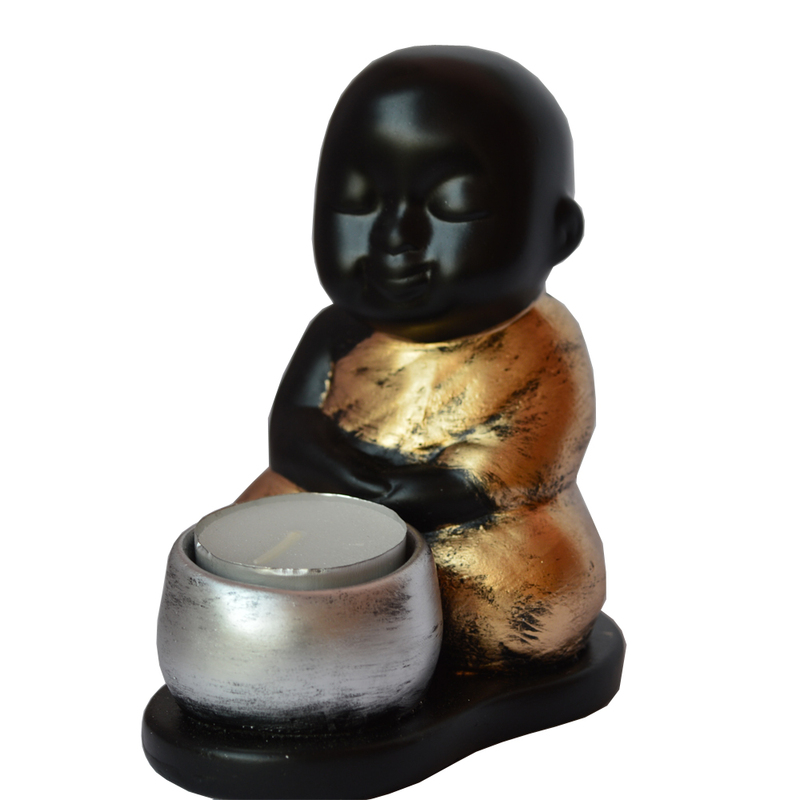 It acts as a tealight candle holder as well as a statue and you can place it in your space of worship, office, home or gift it to someone dear. It is approximately 4 inches in height and hence needs very little space. Show Less..